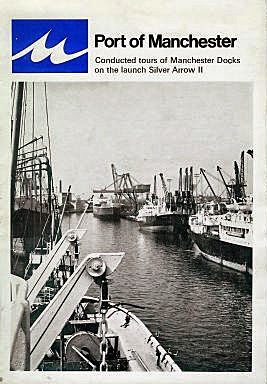 The Port of Manchester ran tours of the Manchester and Salford docks and the upper reaches of the Manchester Ship Canal from at least 1953  until the port closed in 1982. 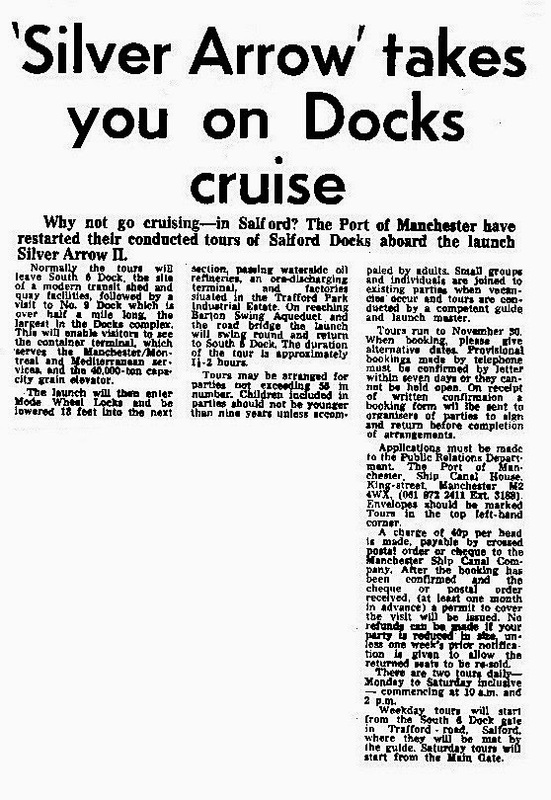 The article below is from the Salford City Reporter (May 1976), which implies that this service had resumed after a hiatus. The MSC Silver Arrow II (337262) was used when the service restarted. 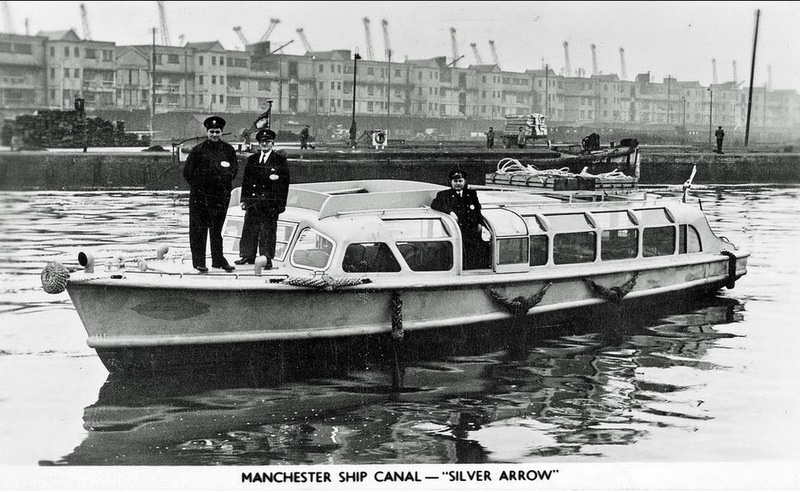 Presumably the launch shown above is the first MSC Silver Arrow (185814), which was built in 1953, and previously had been used as a Dutch river bus. When it reopened, the former mayor of Stretford, Edward Reid, acted as a tour guide. 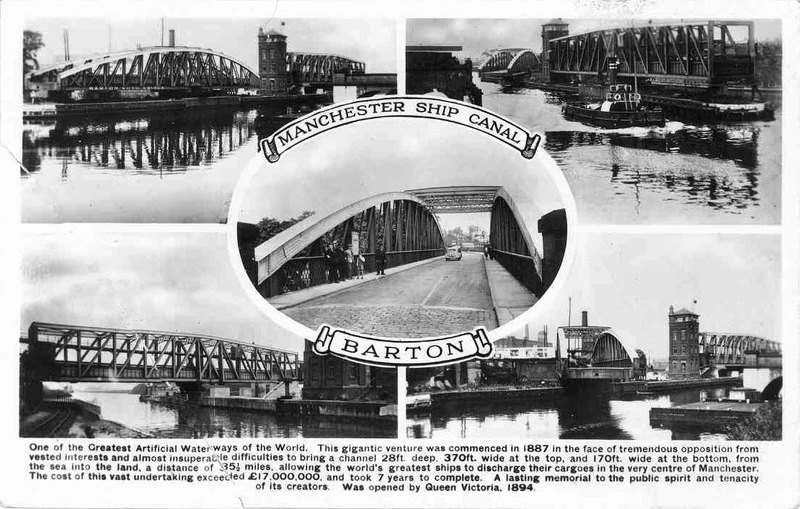 The tour left from Number 6 Dock, visited Number 9 Dock, entered the Mode Wheel Locks, and proceeded down the Manchester Ship Canal as far as the Barton Swing Aqueduct. The route can be followed by consulting the Port of Manchester Map (1913). Other maps of the docks can be found in the John Rylands Collection.